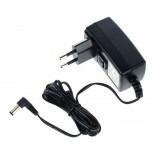 This guitar FX pedal power supply is compatible with 90% of guitar pedals however it's best to doubl..
Motalica Štimer Kliješta za rezanje viška žica Rastezač žica .. 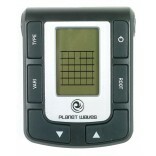 Planet Waves PW-LBK-01 Lubrikit, Friction Remover, tuning stability, Apply just a drop of Lubrikit t.. The Quintessential Guitar Chord Library in the palm of your hand. • Now more than 7400 chord. ..